Complete with snowman, tree, mittens, ice skates and snowflakes. 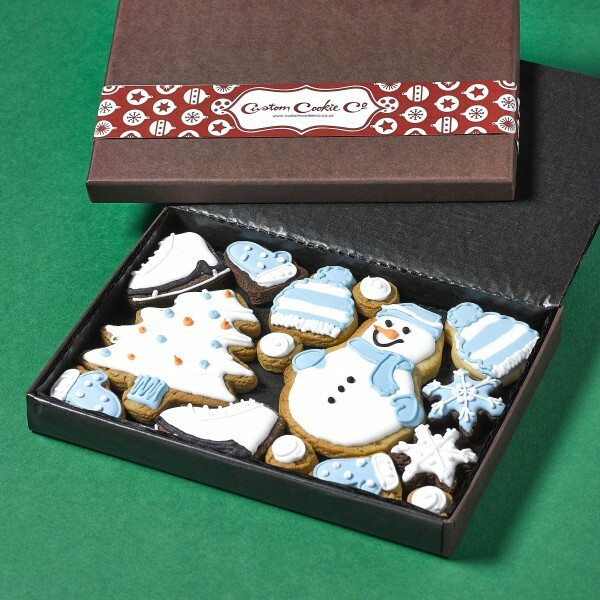 Personalise the snowman with up to 4 words and includes ribboned gift box bearing your special message. Want to add a message on the gift tag? What would you like your cookies to say?